Demkay Yapı has 25 years build and real estate experience. It was established in order to build innovator and modern buildings in the year 2011. 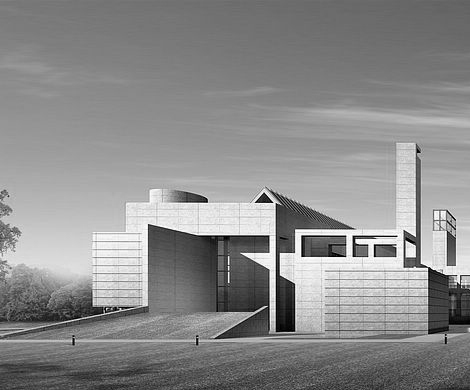 Since the day it was established, moved with the purpose for contemporary and livable buildings. 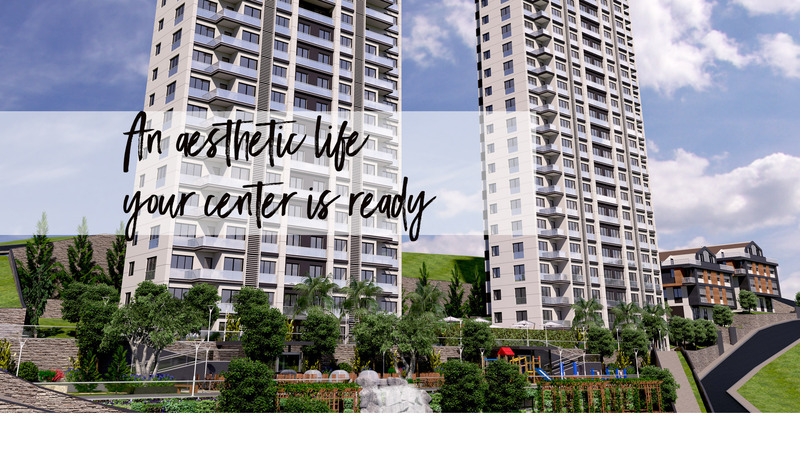 Demkay Yapı earned aesthetic and life-facilitating builds to İstanbul. It taking part also in urban and in place transformation projects and has developed projects for the transformation of the city and earthquake resistant. Demkay Yapı has an important place in build and real state market, owing to give winning with them structure to the investors. Şehr-i Deniz Kartal, Live Park Yakacık and Life Park gained as Demkay Yapı investments to the İstanbul. ALMARA İNŞAAT Almara Construction started its activities in the construction sector in 1990 as “Tanışlar Construction” . It has countinued its activities intensively in Istanbul and it has completed many prestigious residential projects. It has achieved great success with the companies that established in 2001 by itself on such fields like PVC windows, kitchen cabinets and door manufacturing. As a result of stable growth in the commitment area, Almara Construction was established in 2013 to build brand projects that add value to the district. Almara Construction is building its projects that add quality, aesthetics and value to life with combining technology and design with expertise gained by experiences. Adhering to the principles of efficient work force, customer focus, respect fort he environment and nature, Almara Construction continues its growth steadily with strong steps. Where is the Şehr-i Deniz? City Deniz Kartal project consists of 2 blocs of 176 houses and 4 villas. The project, which starts from 294 thousand 600 TL, is signed by Demkay Yapı - Almara Yapı Ortaklığı. Where is Peki City Sea Eagle?10 projects to visit the weekend 5 sites!City Deniz Kartal offers 1 bedroom, 1 living room, 2 living room, 1 living room, 3 room and 1 living room. The project differs between 1 + 1s 59 square meters - 72 square meters, 2 + 1s 97 square meters - 143 square meters, 3 + 1s 150 square meters - 177 square meters. 2 blokta 176 residences and 4 villages City Hall Kartal project, Demkay Yapı - Almara Yapi Ortaklığı passed by the dream. Where is the City Sea Eagle?The Project area is 29 thousand 700 square meters, the unit area is 142 thousand 50 square meters, the land area is planned to be 6 thousand 360 square meters. 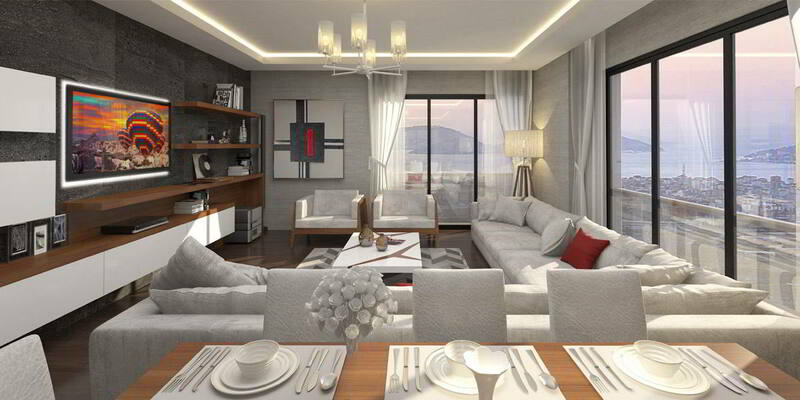 Price varies from 294 thousand 600 TL to 973 thousand 225 TL in the Deniz Deniz Kartal project. Deliveries are expected to take place in September 2019. Click to read the news. The City of Kartal project, which has been allegedly mistaken in Istanbul Kartal by Demkay Yapı, has come to the foreground from 176 independent units housing units. In Sehri Deniz, housing options of 1 + 1, 2 + 1, 3 + 1 and 5 + 1 rooms, the size of the apartments varies between 58-177 square meters. Within the features of the City Sea Eagle; Basketball court Tennis court Volleyball field Outdoor swimming pool Sunbathing areas Children's playgrounds Excursion area Security Car park There is a green area. Deniz Deniz Kartal Location and Transportation Istanbul Kartal is located 2 km from the E-5 highway and metro station on the City of Kartal project located on Özkan street in Hurriyet district. In Kartal, the City of Eagle Project, which has passed the misfortune, starts with housing prices of 294 thousand TL. Istanbul Anatolian Side Kartal is planning to have a total of 176 residences on 29,700 square meters of area. 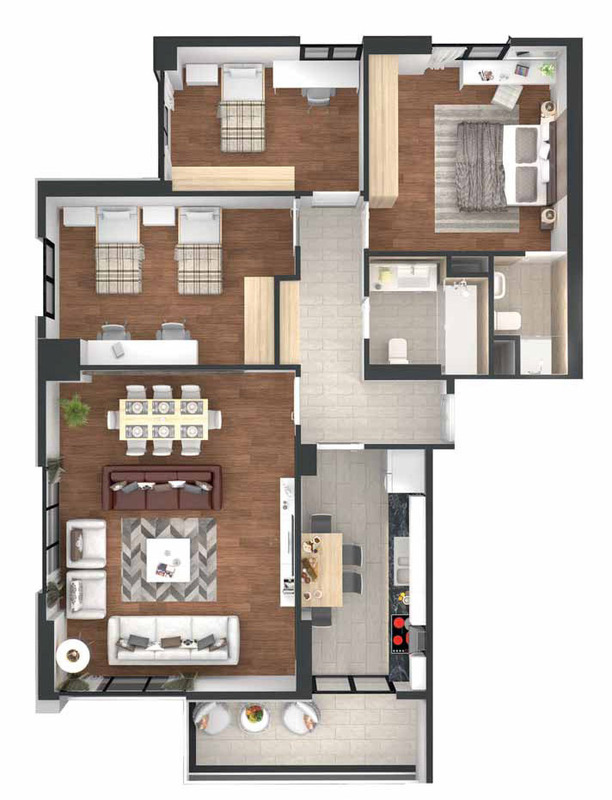 The villas have 1 + 1, 2 + 1, 3 + 1 and 5 + 1 housing options. 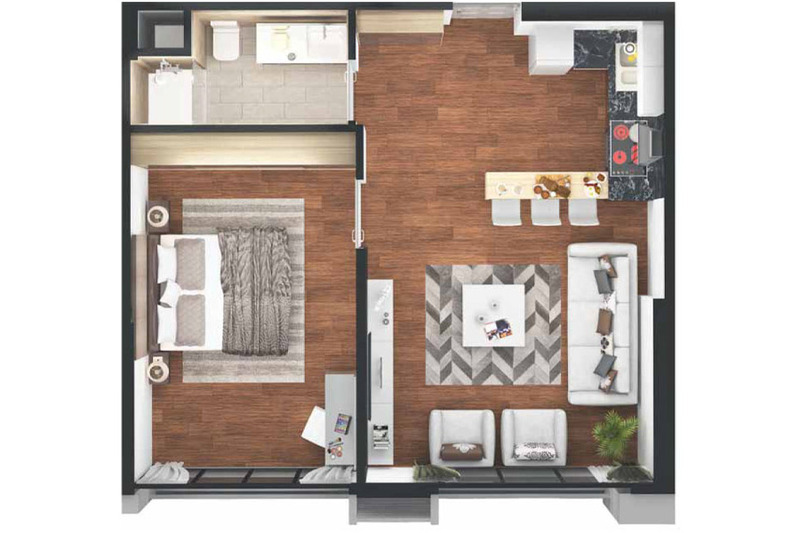 In the project 1 + 1 apartments are gross 58 square meters, 2 + 1 apartments are gross 143 square meters and 3 + 1 apartments are designed as gross 177 square meters. In the price list of Deniz Eagle, 1 + 1 apartments start from 294,600 TL, 2 + 1 apartments start from 480 thousand TL and 3 + 1 apartments start from 700 thousand TL. In September 2019, the housing project is planned to be delivered in a 30 percent down payment and the installment can be a residence in installments. The City Deniz Kartal project offers private payment options within the company. Click to read Real Estate Project news. Das Projekt City-i Deniz Kartal, in dem Demkay Yapi in Kartal einen Traum verwirklichen wird, besteht aus 176 Häusern und 4 Villen. Im Projekt gibt es 8 verschiedene Wohnungstypen. Das Projekt "City-i Deniz Kartal" umfasst Wohnungen zwischen 58 und 176 Quadratmetern. Das Projekt geht mit seinen sozialen Einrichtungen und seinem Standort nicht außer Sichtweite. Klicken Sie, um den Bericht im Detail zu lesen. 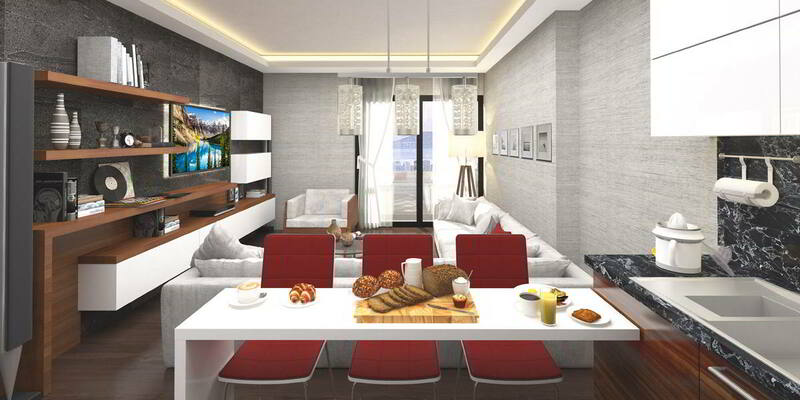 Price starts at 294 thousand 600 TL at Deniz Deniz Kartal! New project! 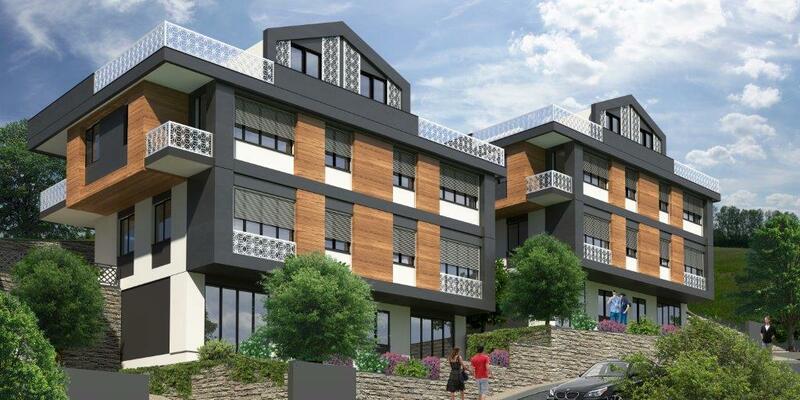 House prices in the City Sea Kartal Houses, which consist of two blocs of 176 houses and 4 villas, range from 294 thousand 600 TL to 973 thousand 225 TL. The land area is 6 thousand 360 square meters. 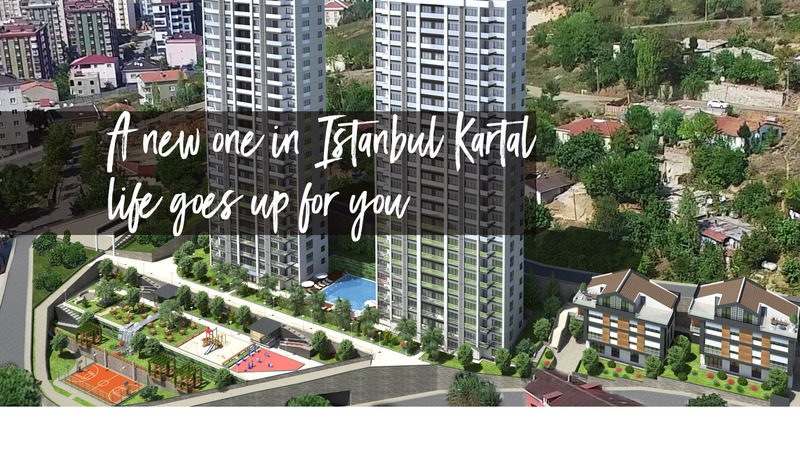 The City Kartal project is a dream come true in Istanbul Kartal. Project Demkay Building - signing of Almara Yapı Ortaklığı. The project area was determined as 29 thousand 700 square meters and the unit area was 142 thousand and 50 square meters in the City Sea Kartal Houses, which consist of two blocs of 176 houses and 4 villas. 1 + 1 apartments are located between 59 and 72 square meters, 2 + 1 apartments are between 97 and 143 square meters, and 3 + 1 apartments are between 150 square meters and 177 square meters in the City Sea Kartal project, which offers apartments from 1 + 1 to 3 + 1. Designed between. Housing prices will vary from 294 thousand 600 TL to 973 thousand 225 TL in Denizli Eagle Houses, which will be delivered in September 2019. HousingTimes.com Click to read the news. City-i Deniz Kartal project is being built by Demkay Yapı in Istanbul Kartal. Located within the Anatolian side of the housing project, this project has 180 houses. The project, which consists of apartments and villas, is located on a 6,500 square meter area. The project, planned to be completed in September 2019, covers areas between 58 square meters and 176 square meters. Housing types are shaped as 1 + 1, 2 + 1 and 3 + 1. Areas between 58 square meters and 176 square meters. There are 4 villas in the project. Click here to read hurriyetemlak.com news. The City-İ Deniz Project is Rising in Eagle! The City-i Deniz project, which will bring the relief to your home with the view of the Marmara Sea and Islands it has, is passed on to the Yakacık region of Kartal where many branded projects are located. The City-i Deniz project, which will bring the relief to your home with the view of the Marmara Sea and Islands it has, is passed on to the Yakacık region of Kartal where many branded projects are located. 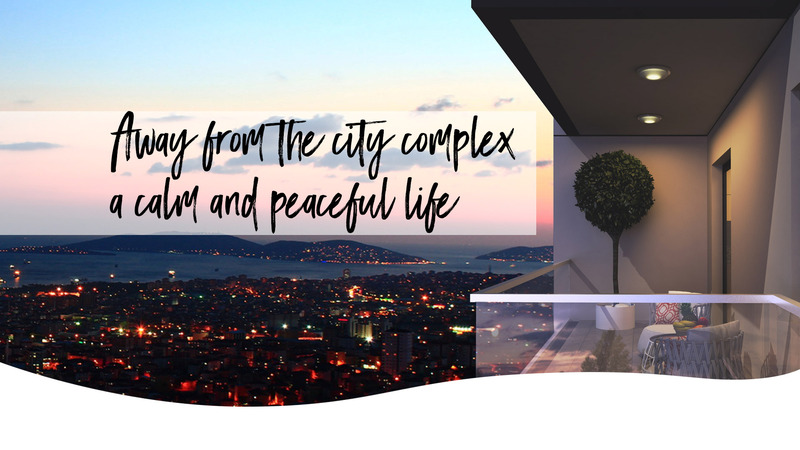 The City-i Deniz project, which is alive with Demkay Yapı and Almara Yapı partnership, is being built on Kartal boundaries from the high investment-worthy regions of Istanbul. The Sehir-i Deniz project, located in Kartal's Yakaji district as a location, is based on a plot area of 5 thousand 940 square meters in total. Marmara Sea and Islands ViewThere are 176 apartments and four villas besides these apartments in the City-i Deniz project which is planned to be a two-block square. The project, which brings the unique view of the Sea of Marmara and Islands to your home, will make the residence owners feel the refreshment of the blue. Click on the opportunity to read the opportunity. Demkay Yapi and Almara Yapi Ortaklığı and the Kartal Denizli Eagle Project, which costs a total of 294,600 TL. 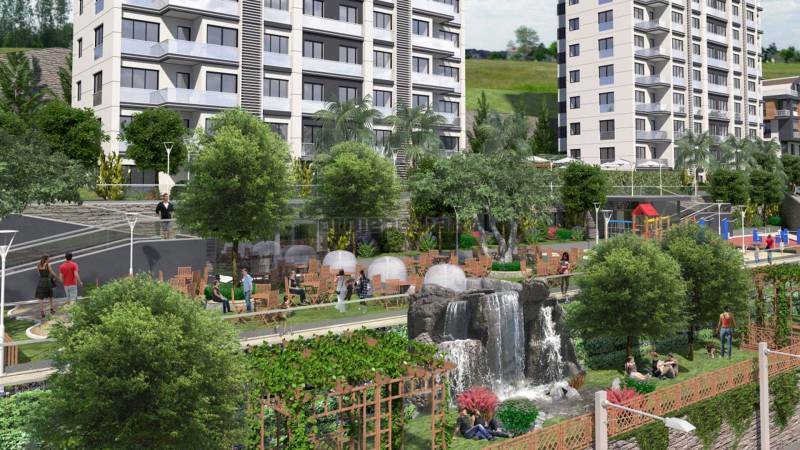 The City-i Deniz Kartal project, which is alleged to be in the Kartal with Demkay Building and Almara Building Joint Venture, is being constructed on a 6,500 square meter plot area. There are 176 houses and 4 villas in the City-i Deniz Kartal project rising in 2 blocks. 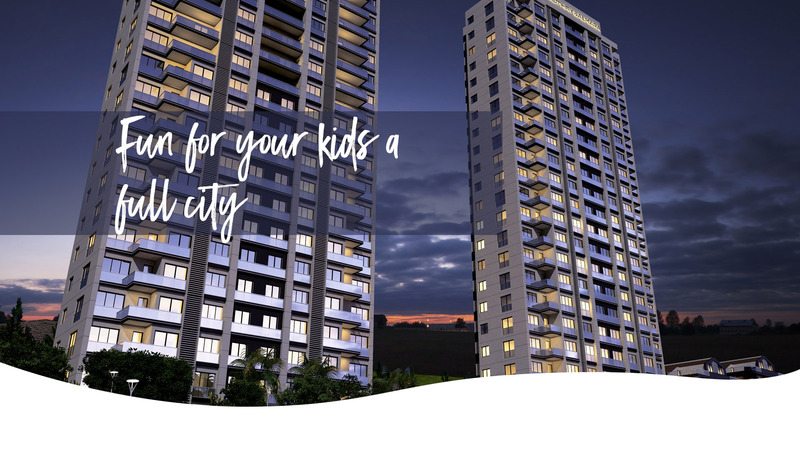 There are 2 types of 1 + 1 apartments, 4 different types of 2 + 1 and 2 + 3 types of apartments in 2 different types in the City-i Deniz Kartal project where 8 different types of apartments are located. The sizes of the apartments vary between 58 square meters and 176 square meters. Villas located in the City-i Deniz Kartal project are designed in the concept of twin villas. Prices start from TL 294 thousand 1 + 1 apartments start from 294 thousand 600 TL, 2 + 1 apartments start from 480 thousand TL and 3 + 1 apartments start from 700 thousand TL in the City-i Deniz Kartal project, which can be a residence owner with installments of 30% down payment and maturity. Deliveries in September 2019 There are parking, security, outdoor swimming pool, basketball court, tennis court, volleyball court, children's playgrounds and green areas among the social facilities of City-i Deniz Kartal project which is planned to be delivered in September 2019. The City of Kartal price list with different housing options ranging from 1 + 1 to 5 + 1 and the payment plan are in our news ...City Deniz Kartal Project Istanbul Anatolian Side Kartal is having a bad day. There are a total of 176 houses in the Urban Eagle Project, which rises above 29 thousand 700 square meters. 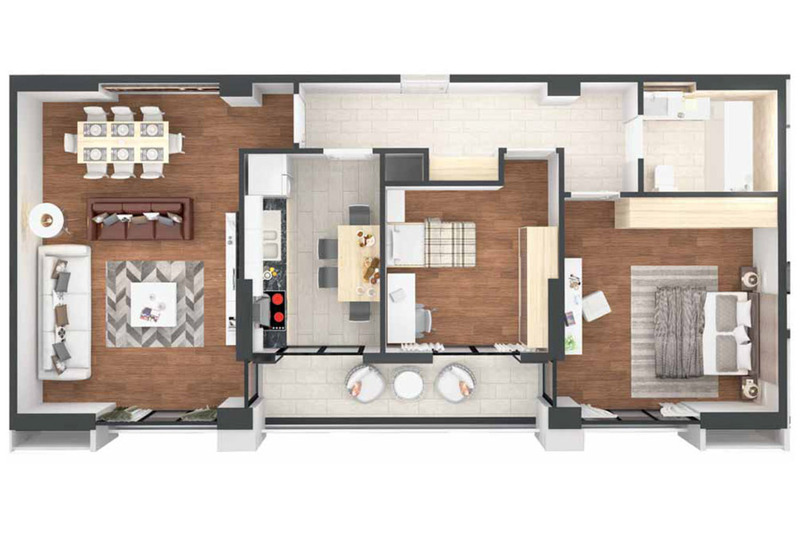 1 + 1, 2 + 1, 3 + 1 and 5 + 1 residential options are included in the project 1 + 1 apartments are gross 58 square meters, 2 + 1 apartments are gross 143 square meters and 3 + 1 apartments are designed as gross 177 square meters. 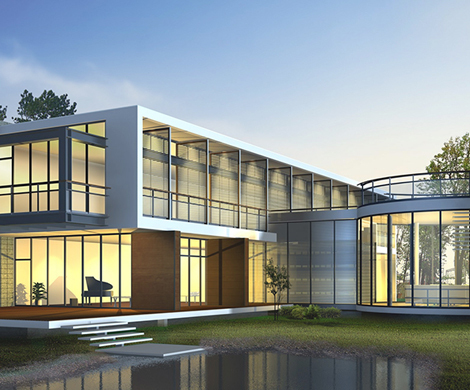 In the project 5 + 1 apartments are designed as villas. CITY MARINE KARTAL PRICE LISTThe price list of Deniz Deniz Kartal is as follows;1 + 1 apartments from 294 thousand 600 TL,2 + 1 apartments from 480 thousand TL,3 +1 apartment starts from 700 thousand TL. In September 2019, the housing project is planned to be delivered in a 30 percent down payment and the installment can be a residence in installments. The City Deniz Kartal project offers private payment options within the company. Among the social facilities of the project; Basketball court Tennis court Volleyball field Outdoor swimming pool Sunbathing areas Children's playgrounds Excursion area Security Car park There is a green area. Demkay Yapı - Almara The partnership of the City-i Deniz Kartal project in Kartal is based on 5,940 square meters of land. The project, which consists of two blocks, consists of 176 houses and 4 villas. The sea has turned its face to the beauties of the Marmara and Islands. The sea of the city will live with the spaciousness of the blue with the residents of 176 with sizes between 60 m⊃2; and 180 m⊃2;. With 1 + 1, 2 + 1, 3 + 1 apartment options, you will meet the general expectation and make the sea an indispensable part of your life with its vast sea view. Click to read the project. City-i Deniz Kartal project, where Demkay Yapi will have a dream in Kartal, consists of 176 houses and 4 villas. 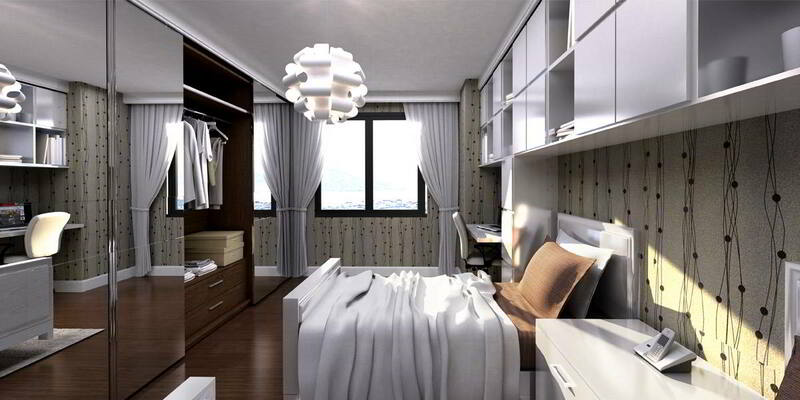 There are 8 different types of apartments in the project. 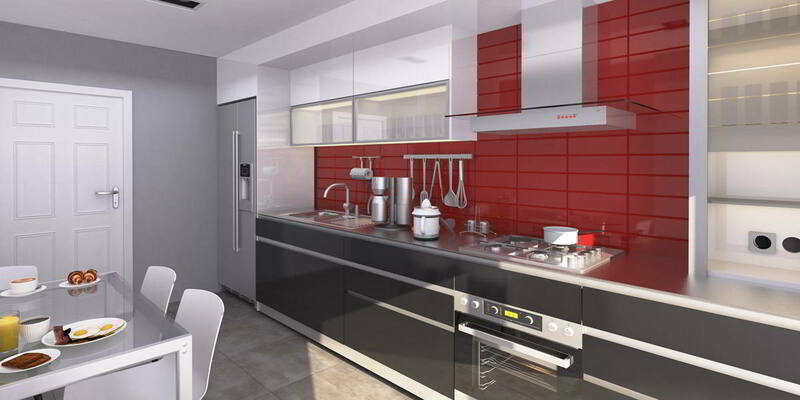 The City-i Deniz Kartal project has apartment options varying from 58 square meters to 176 square meters. The project does not run out of sight with its social facilities and location. Click for more details. Branded housing projects and real estate news platform According to the results 3DKonut.com evaluates project launches in Istanbul in the first six months of 2017, a total of 12,600 new projects were offered for sale between January and June. In total, the investment value of the houses to be built on the land of approximately 650 thousand square meters found 11 billion liray.Despite political, military and economic activity last year, the Turkish Construction Sector continued its investments in the first half of 2017. According to the compilation of 3DKonut.com site, which currently consists of about 2 thousand construction companies and exhibiting the new 4 thousand branded residence project together, the new project with 12,600 residential buildings reached to 11 billion liras total investment value in January.According to the TUIK data, a total of 96,386 new homes were sold in Istanbul during the period up to May 2016, compared to 96,836 in the first five months of 2017. 3DKonut.com manager Aybars Görpe emphasized that the construction companies producing branded residence projects continue to invest with confidence given by the buyers of abroad especially, "Statistics shows that the new housing sales in Istanbul pointed to a slight decrease compared to the previous year and as far as we observed, traffic is still behind from the same period last year, "he said. With the advent of summer, Görpe emphasized that branded housing investments are slowing down and that companies will spend this period with preparations and that new launches will come out vitrine behind each other in September. Houses are being renewed rapidly within the framework of the Earthquake and Onsite Transformation Project, which is implemented by Kartal Municipality in order to prevent the buildings which have completed their economical lives and which have completed their economic life to cause life and property loss in earthquakes. Within the scope of the "Earthquake and On-Site Transformation" studies in Kartal, 20 slums based on 11 parcels of 11995 island (new area formed by the merging of 20 parcels) in Hürriyet Neighborhood Ozkan Sokak will take the first step to be transformed by the destruction ceremony to be held. Click here to read the newsletter. Kartal Municipality continues to work on 'Eagle Model in Transformation' as part of urban transformation. Kartal Hürriyet Mahallesi 20 slums built on 23 parcels of 11995 island located in Ozkan Sokak took the first step to turn into a demolition ceremony. Kartal Mayor Altınok Öz, mayors, parliament members, unit directors, rights holders and representatives of contractors attended the demolition ceremony. The groundbreaking ceremony started with the demonstration of the advertisement of the Kartal Municipality. Cemil Oruç, who spoke on behalf of the rights owners who were invited to the stage following the presentation, expressed his gratitude for the work of Kartal Municipality and stated that they will attain the things they dreamed of as conversion owners and property owners. After Oruç, the project named 'City-i Sea' prepared by the contractor company was presented to the participants. Click here to read gunedogushaber.com news. Houses are being renewed rapidly within the framework of the Earthquake and Onsite Transformation Project, which is implemented by Kartal Municipality in order to prevent the buildings which have completed their economical lives and which have completed their economic life to cause life and property loss in earthquakes. Within the scope of the "Earthquake and On-Site Transformation" studies in Kartal, 20 slums based on 11 parcels of 11995 island (new area formed by the merging of 20 parcels) in Hürriyet Neighborhood Ozkan Sokak will take the first step to be transformed by the destruction ceremony to be held. Hürriyet Mahallesi The destruction ceremony of 20 different slats in Özkan Sokak No: 46 will be held on Friday, October 6 at 11:00. Click to read marmaracagdas.com news. Istanbul and signatories to the exemplary conversion application to municipalities in Turkey Kartal Municipality, was launched at a ceremony at the confluence of the 20 slum transformation projects. Eagle Mayor Op. Dr. Altınok Essence pioneered in Istanbul Kartal Municipality signed the exemplary conversion application to municipalities in Turkey, earthquake-vulnerable, the building has completed its useful life, 'Earthquake and Local Transformations' rapidly continues to refresh the frame. Within this scope, 20 squatters based on 11 parcels of land (the new area formed by the merger of 20 parcels) of 11995 island located in Hürriyet Neighborhood Ozkan Sokak were transformed by a demolition ceremony. Destruction ceremony of Kartal Mayor Op. Dr. In addition to Altınok Öz, the Republican People's Party (CHP) Bitlis Provincial Chairman Metin Güzelkaya, Vice Governors of Kartal Municipality, Parliament members, neighborhood headmen, Kartal Municipality unit managers, Kartal Municipality employees and citizens participated. "I'm celebrating a get-together to be involved in the transformation" Click here to read itvhaber.com news. Kartal Metropolitan Municipality met with the housing owners and construction companies within the scope of the urban transformation project. After the meeting, the 20 shanty houses that had been agreed were demolished. Continuing to work with the slogan of "urban transformation in place", Kartal Municipality brought together contractors with 20 shanties living in Hürriyet Quarter to make an agreement. Instead of the slums, 176 houses and 4 villages will be constructed. There will be all kinds of social habits in the buildings to be built. The project is scheduled to be completed in 2 years. Speaking in the forum, Eagle Mayor Op. Dr. Altınok Öz, "I can not even catch up with this state of the city in 2009 and the change between now and now," he spoke. Click here to read the news of emlaknews.com.tr. Kartal Municipality continues its rapid progress without interrupting urban renewal projects. Kartal Municipality continues to work with 'Eagle Modeli in Transformation'. Within the scope of "Earthquake and Site Conversion Project" of Kartal Municipality, 20 slums on 11995 island parcels (new area formed by merging 20 parcels) located in Hürriyet Neighborhood Ozkan Sokak will be demolished and renewed. Hürriyet Neighborhood The destruction ceremony of 20 different slides in Ozkan Sokak will take place on Friday, October 6 at 11 am. Click here to read projedefirsat.com. Eagle Mayor Op. Dr. Altınok Kartal Municipality signed under the leadership of Oz in Istanbul and Turkey for an example of a success story, 'The Eagle Model Transformation' and continues to work. Houses are being renewed rapidly within the framework of the Earthquake and Onsite Transformation Project, which is implemented by Kartal Municipality in order to prevent the buildings which have completed their economical lives and which have completed their economic life to cause life and property loss in earthquakes. Within the scope of the "Earthquake and On-Site Transformation" studies in Kartal, 20 slums based on 11 parcels of 11995 island (new area formed by the merging of 20 parcels) in Hürriyet Neighborhood Ozkan Sokak will take the first step to be transformed by the destruction ceremony to be held. Hürriyet Mahallesi The destruction ceremony of 20 different slats in Özkan Sokak No: 46 will be held on Friday, October 6 at 11:00. Click here to read Kartal.Web.tr news. As a result of Kartal Municipality's meeting with the owners of the shanty houses within the scope of urban transformation, 20 slums were demolished Acting on the slogan of "urban transformation in place", Kartal Municipality provided 20 shanty houses living in Hurriyet Quarter, bringing contractors together to make an agreement. As a result of the deal, the building was demolished by a construction ceremony. Instead of the collapsed slums, 176 houses and 4 villages will be constructed. There will be open and closed car parks in the project where all kinds of social life areas will be found. The project with 8 different apartment types will be completed in 2 years. Kartal Mayor Op. Dr. Altınok Öz participated with Vedat Demir, one of the managers of the contractor firm. Speaking in the forum, Eagle Mayor Op. Dr. Altınok Öz said, "May Allah never give you trouble. I wish construction would continue without giving a job accident. I congratulate them on the fact that 20 squatter owners have come together to initiate this transformation. I can not keep up with this city in 2009 and the change between now and now, "he said. With the measures taken after the speeches made, the demolition of the gecekondals began. After the demolition process is completed, the project will be initiated by basing the project. Click to read karar.com news. emlakkulisi.com - 20 slums in Kartal will be demolished as part of the transformation! Urban transformation projects and work in Kartal continue unabated. 20 slums in Kartal will be renewed under the transformation. Kartal Municipality continues its rapid progress without interrupting urban renewal projects. Kartal Municipality continues to work with 'Kartal Modeli in Transformation'. Within the scope of "Earthquake and Site Conversion Project" of Kartal Municipality, 20 slums on 11995 island parcels (new area formed by merging 20 parcels) located in Hürriyet Neighborhood Ozkan Sokak will be demolished and renewed. Hürriyet Mahallesi The destruction ceremony of 20 different multi-storey chapel located at Ozkan Sokak No: 46 will take place on Friday, October 6 at 11 am. 20 slums in Kartal were destroyed for urban transformation ISTANBUL - Kartal Municipality collapsed 20 slums in a settlement agreement as a result of meeting the housing company and the construction company within the context of urban transformation. 20 slums in Kartal destroyed for urban transformation ISTANBUL - Within the scope of urban transformation of Kartal Municipality, 20 squatters were destroyed with agreement reached as a result of meeting the shanty owners and the construction company.Acting on the slogan of "urban transformation in place", Kartal Municipality provided 20 shanty houses living in Hurriyet Quarter, bringing contractors together to make an agreement. As a result of the deal, the building was demolished by a construction ceremony. Instead of the collapsed slums, 176 houses and 4 villages will be constructed. There will be open and closed car parks in the project where all kinds of social life areas will be found. The project with 8 different apartment types will be completed in 2 years.Kartal Mayor Op. Dr. Altınok Öz participated with Vedat Demir, one of the managers of the contractor firm. Speaking in the forum, Eagle Mayor Op. Dr. Altınok Öz said, "God do not worry about accident, I wish construction will continue without giving a job accident." I congratulate them because 20 shanty owners came together and started this transformation.With the measures taken after the speeches made, the demolition of the gecekondals began. After the demolition process is completed, the project will be initiated by basing the project. Click here to read haberler.com news. As a result of the urban transformation of Kartal Municipality, the construction company was brought together with the shanty owners and 20 shanty houses were destroyed with the agreement reached.Acting on the slogan of "urban transformation in place", Kartal Municipality provided 20 shanty houses living in Hurriyet Quarter, bringing contractors together to make an agreement.As a result of the deal, the building was demolished by a construction ceremony. Instead of the collapsed slums, 176 houses and 4 villages will be constructed. There will be open and closed car parks in the project where all kinds of social life areas will be found. The project with 8 different apartment types will be completed in 2 years.Kartal Mayor Op. Dr. Altınok Öz participated with Vedat Demir, one of the managers of the contractor firm. Speaking in the forum, Eagle Mayor Op. Dr. Altınok Öz said, "May Allah never give you trouble. I wish construction would continue without giving a job accident. I congratulate them on the fact that 20 shanty owners came together to start this transformation. I can not keep up with this city in 2009 and the change between now and now, "he said.With the measures taken after the speeches made, the demolition of the gecekondals began. After the demolition process is completed, the project will be initiated by basing the project. Eagle Municipality continues its rapid progress without interrupting urban renewal projects. Kartal Municipality continues to work with 'Eagle Modeli in Transformation'. Within the scope of "Earthquake and Site Conversion Project" of Kartal Municipality, 20 slums on 11995 island parcels (new area formed by merging 20 parcels) located in Hürriyet Neighborhood Ozkan Sokak will be demolished and renewed. Hürriyet Neighborhood The destruction ceremony of 20 different slides in Ozkan Sokak will take place on Friday, October 6 at 11 am.